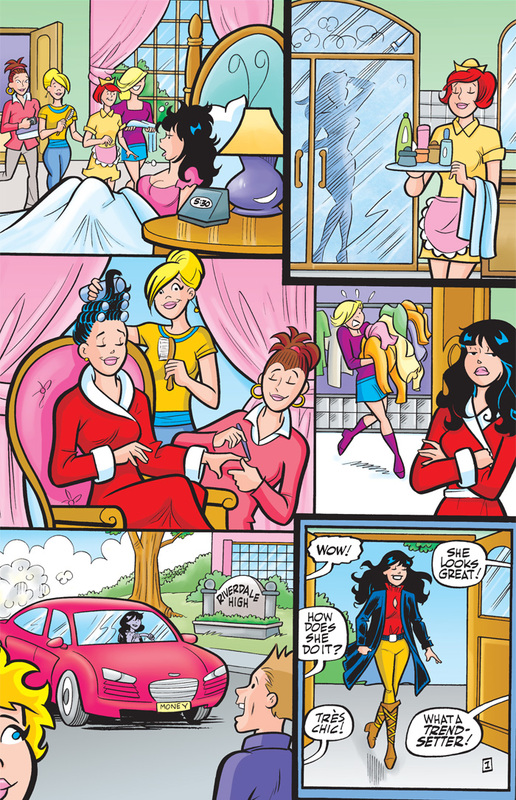 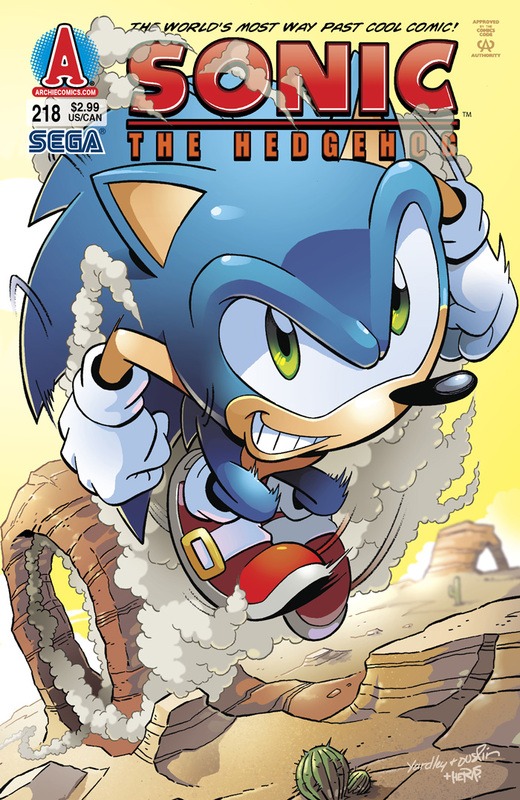 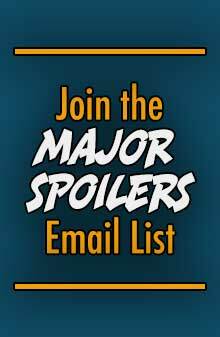 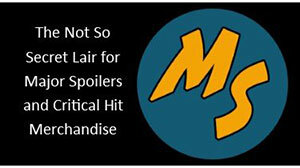 Archie Comics sent Major Spoilers a sneak peek of Archie Double Digest #213, Betty & Veronica #250, and Sonic the Hedgehog #218, all arriving in stores next week. 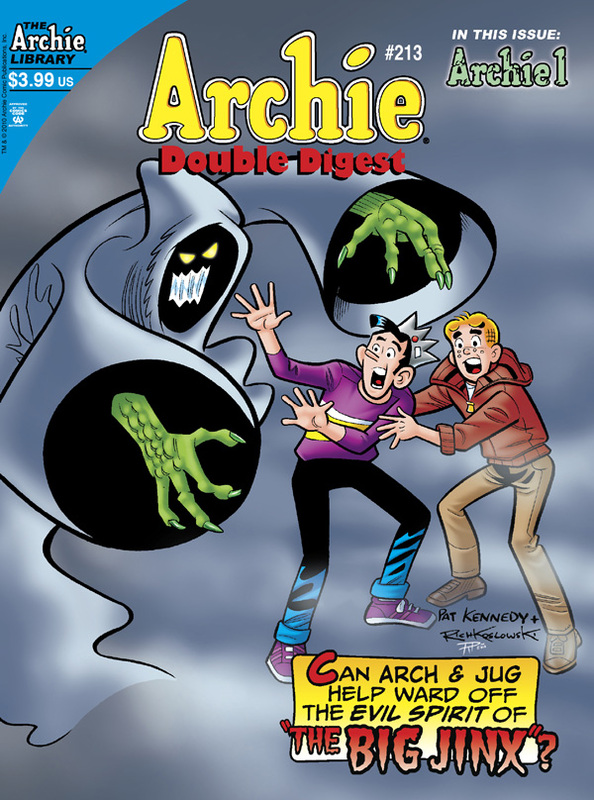 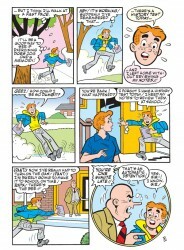 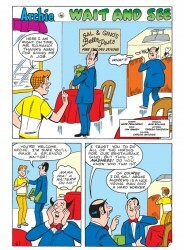 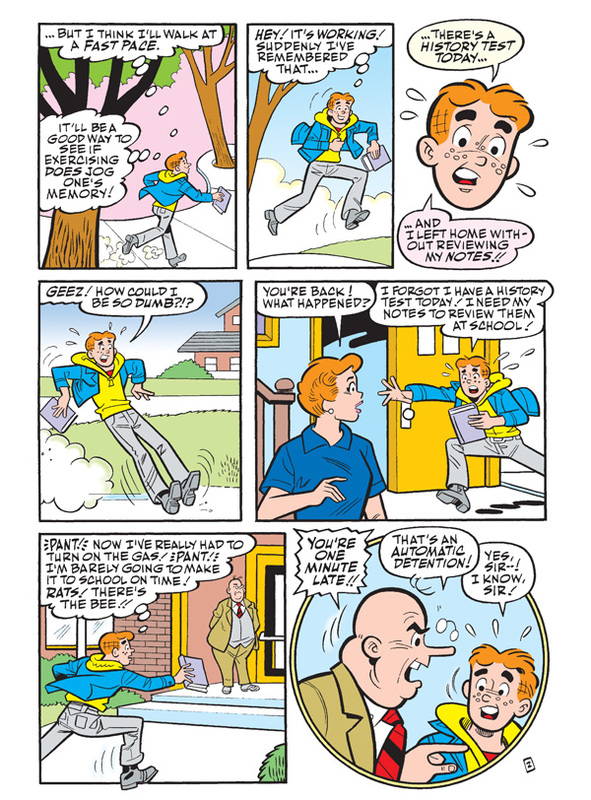 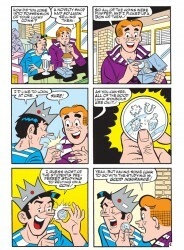 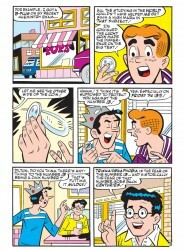 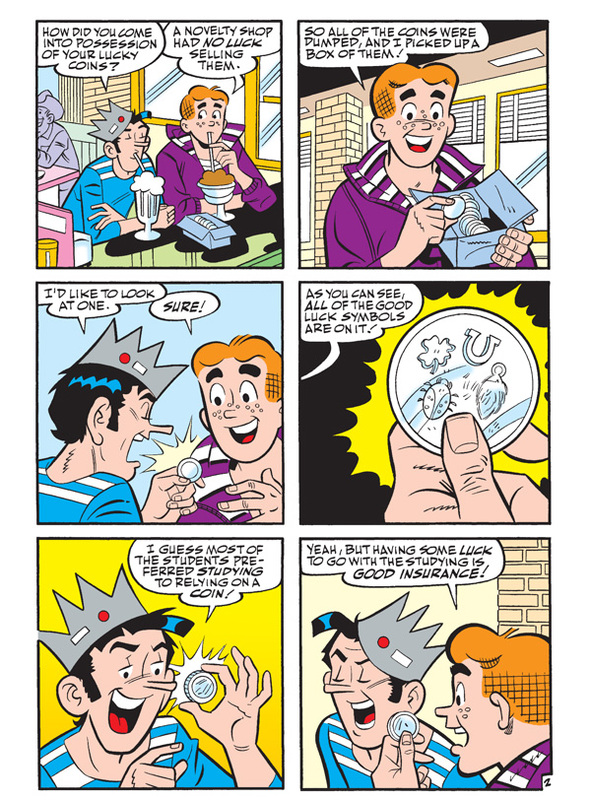 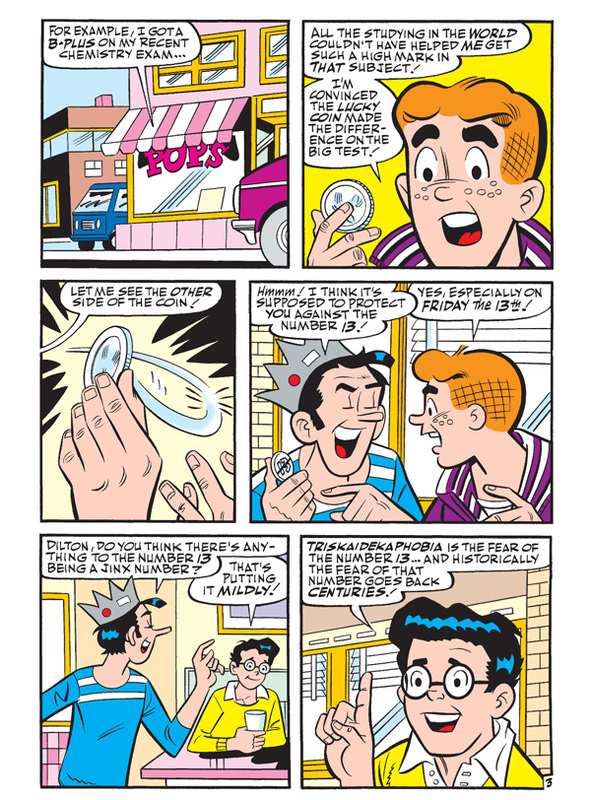 It’s almost Friday the 13th when Archie and Jughead get grilled by Weatherbee for selling lucky charms, but when Superintendent Hassel grills Weatherbee about luck, it’s a race to find the trashed charms before “The Big Jinx”! 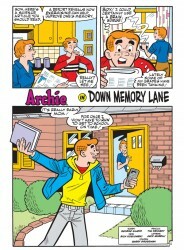 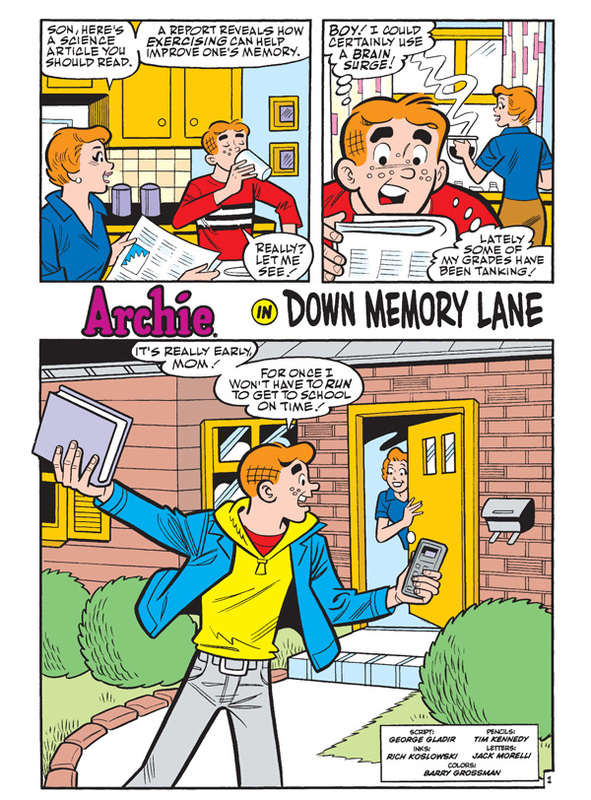 Then, Archie goes into exercise overdrive “Down Memory Lane” to try to improve his memory. 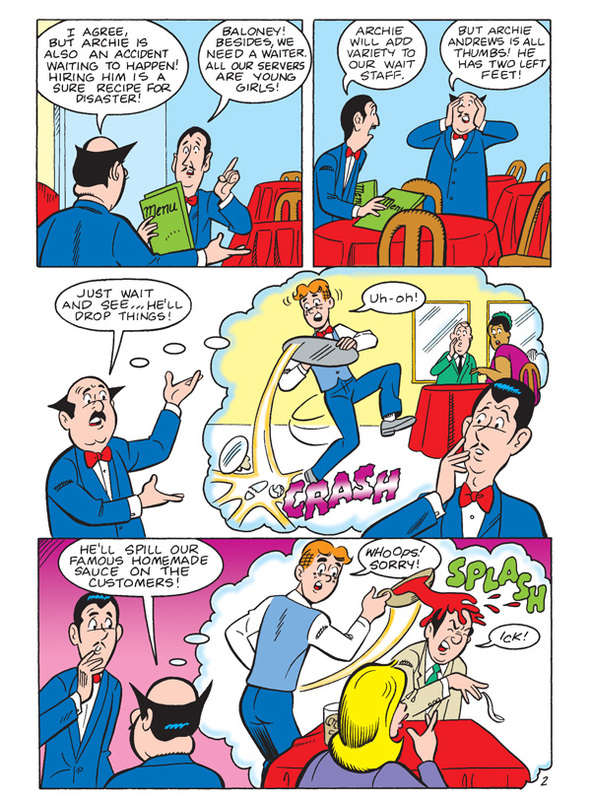 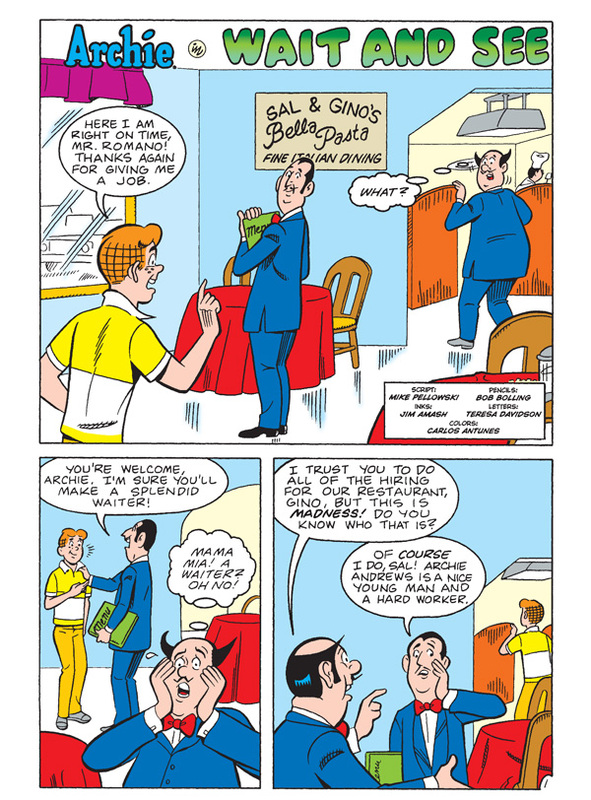 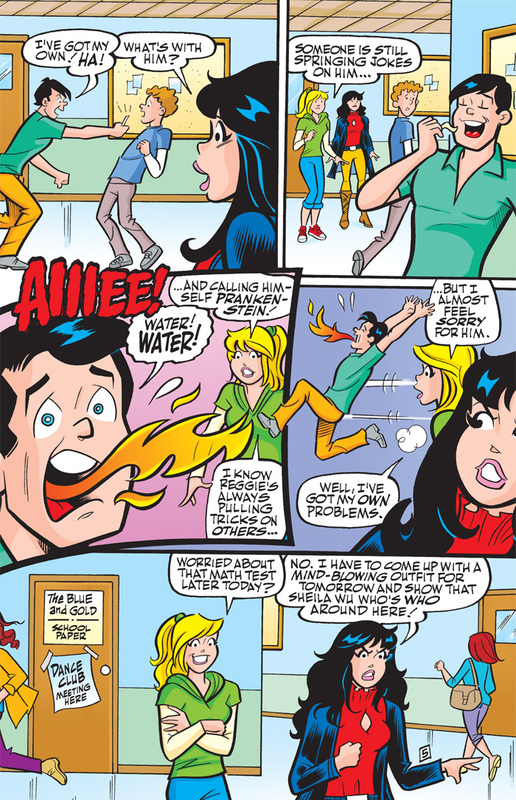 Lastly, “Wait and See” that when Archie becomes a waiter in a restaurant full of beautiful waitresses, it’s a recipe for disaster! 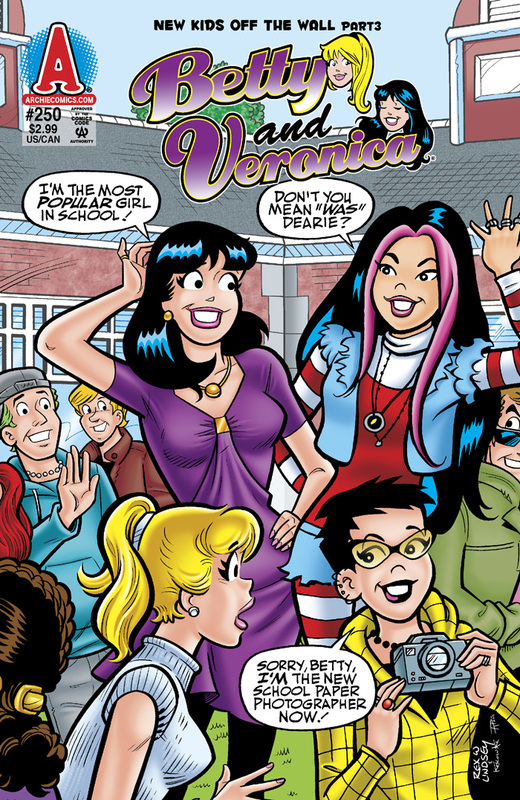 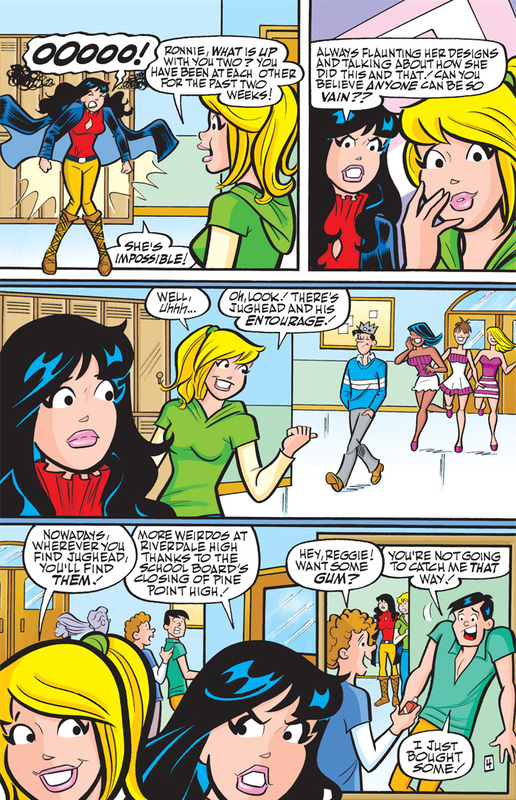 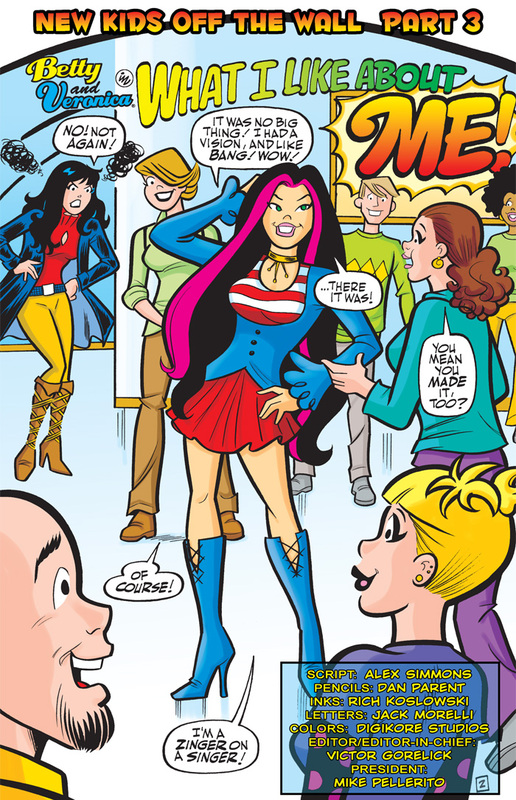 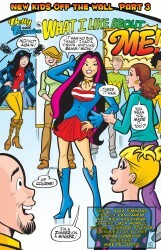 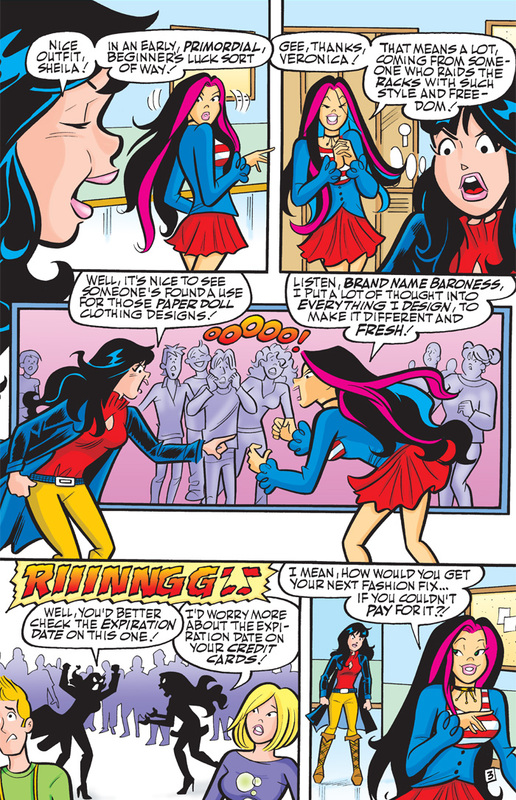 New students turn Riverdale High into a “Bizarro” world for Betty and Veronica as a new girl with a flair for design puts Veronica’s fashion sense to the test and Betty meets a girl who can go toe to toe in every way. 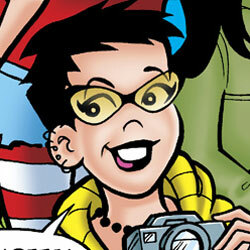 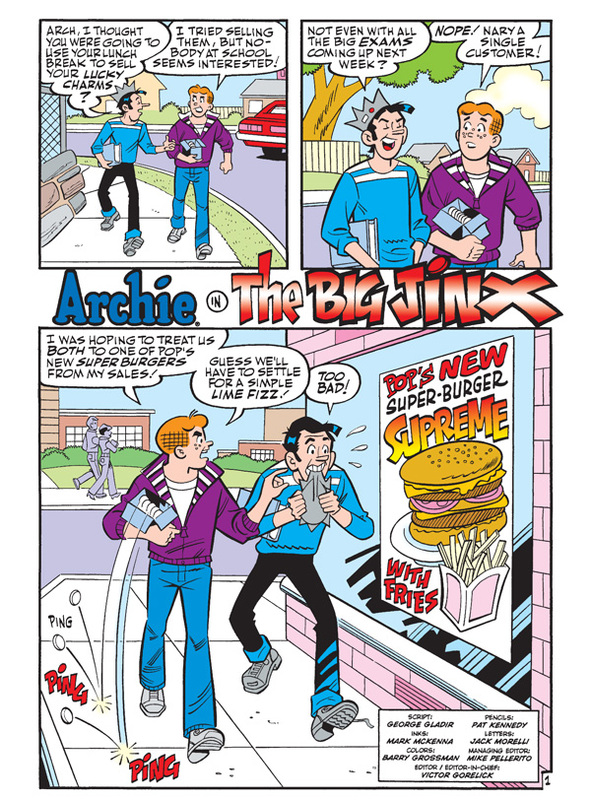 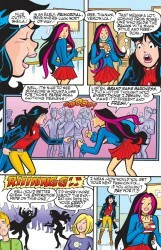 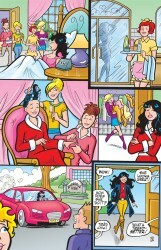 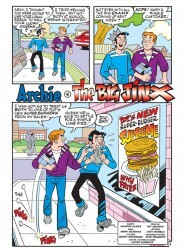 And now, two new gorgeous guys in the student body might just turn the girls’ hearts away from Archie! 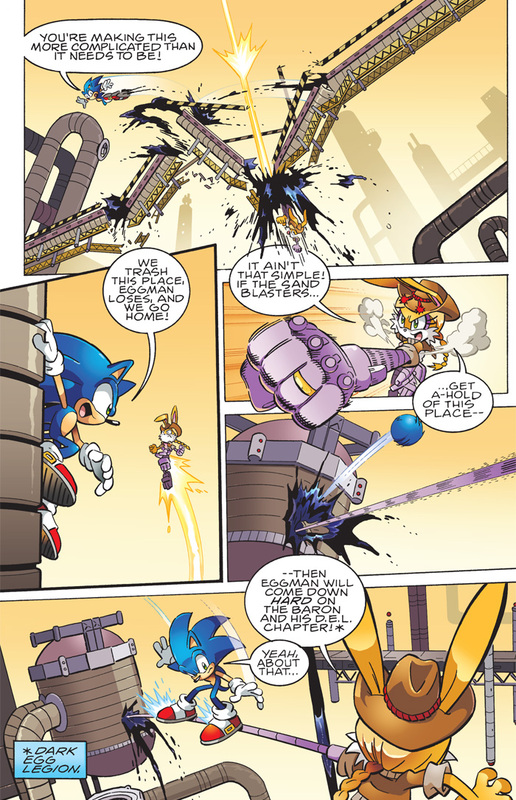 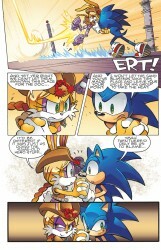 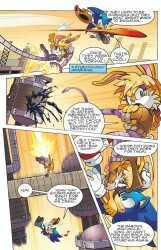 It’s Sonic versus Bunnie in a no-holds-barred battle! 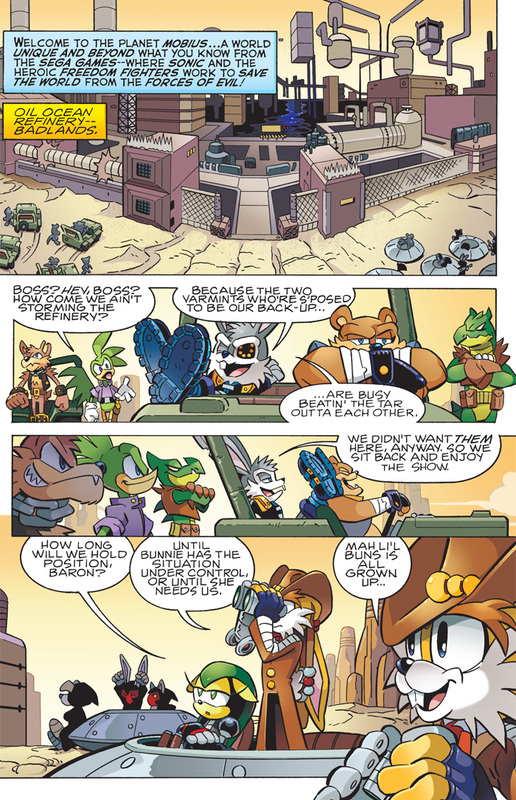 The prize: the sprawling Oil Ocean Refinery! 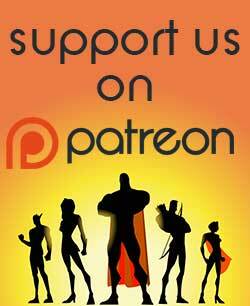 Two factions stand poised to attack as hero turns on hero – but is everything as it seems? 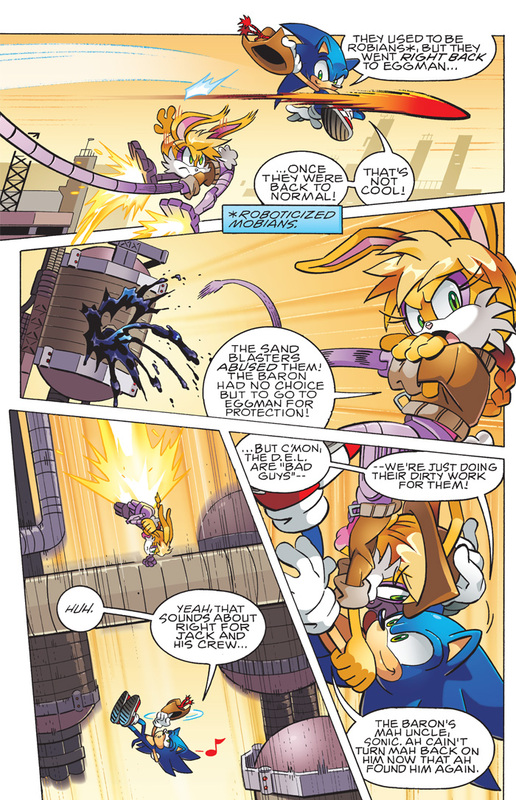 There will be as many revelations as explosions! 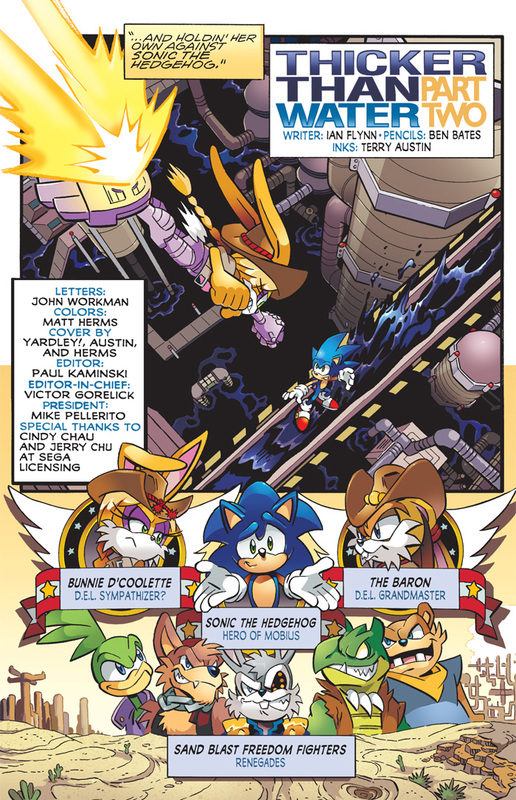 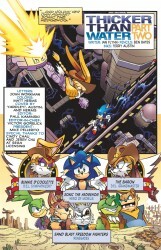 Then, in “Hindsight,” Dr. Eggman calls Snively in for questioning. 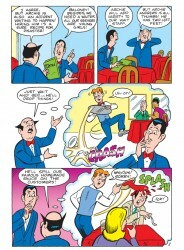 What is the conniving little man up to this time?